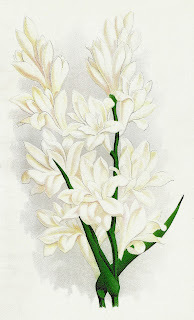 This is a lovely piece of flower clip art of a White Tuber Rose from an 1870's seed catalog. I love how the colors contrast dramatically against one another. I hope you enjoy!